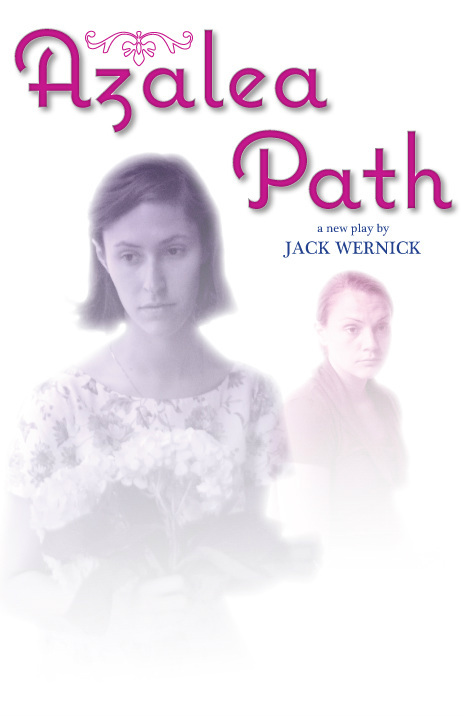 Azalea Path is a play about poet Sylvia Plath. It premiered at the 2013 Midtown International Theatre Festival in July. Jack directed a cast featuring Hannah Daisy Brandt, Emily Ciotti, Matti Leinikka and Odelia Avadi. The production featured scenic and lighting design by Charles Moser and scenic painting by Besty Heffron, both of whom worked on Destination Wedding. Irina Gets was costume designer. Performances were at the Jewel Box Theater at the Abingdon Theatre Arts Complex. The production enjoyed sold out performances. A staged reading of the play was presented at Books & Books in Coral Gables, FL in August. Elizabeth Price directed a cast featuring Katy Slaven as Sylvia Plath.